The mycobacteria infection attorneys at the Drug Law Center are currently reviewing and evaluating cases involving clients who have developed life-threatening infections after a procedure that used the Stockert 3T Heater-Cooler System. Successful outcomes of complicated heart and lung surgeries requiring an open chest cavity (cardiothoracic) would be greatly compromised without the use of a heater-cooler device. These units regulate blood and body temperature during open chest cavity surgeries, including the more than 150,000 coronary artery bypass surgical procedures performed in the United States every year. However, within the last year, both the CDC (Centers for Disease Control and Prevention) and the FDA (Food and Drug Administration) have issued warnings that these devices have the potential of spreading life-threatening non-tuberculosis mycobacteria chimaera infections to patients during surgery. This potential risk places thousands of individuals at serious risk of developing fatal complications. Doctors use heater cooler devices including the Stockert 3T Heater-Cooler Systems to raise or lower body temperature. While these devices use a closed water system, meaning the water never enters the patient’s body, the machines’ designs can cause the water to vaporize into the air and land inside the chest cavity of the patient. The infection can lay in a dormant state for up to four years after the procedure was performed before displaying symptoms. At the point of a diagnosis of non-tuberculosis mycobacteria chimaera infection, the patient might have already suffered serious consequences including the development of a pulmonary disease or lymphatic conditions. What Is the Heater Cooler Device? A heater-cooler unit (HCU) or heater cooler device (HCD) is a medical machine that surgeons use during cardiothoracic surgical procedures including lung cancer surgery, heart valve surgery, coronary artery bypass surgical procedures, and open-heart surgery. The machine is designed to assist during the procedure to ensure that the patient’s body and blood temperature can be cooled down or warmed up during the procedure. Lowering or raising body temperature ensures that the patient’s circulating blood and organs remain at the optimal temperature during the procedure to improve the result a successful outcome. The machine is functional because it has water tanks continuously provide water at a controlled temperature using liquids that circulate through cooling/warming blankets in a closed-circuit system or through external exchange heaters. The design of the machine prevents water from ever coming into contact directly with the patient. However, water in the tanks can aerosolize (turn into a vapor) and disperse in the air throughout the operating room by the device’s moving fans and external vent system when the machine is operating. If the water is contaminated, the harmful bacteria can enter the patient’s open chest cavity unsuspected leak during cardiothoracic surgery. Stockert 3T Heater-Cooler Systems represents approximately six out of every ten of all the available heating cooling devices used by doctors, hospitals and medical centers in the United States. LivaNova PLC, the medical device manufacturer, has made the product available in America for over a decade (2006). According to estimates by the Food and Drug Administration, there are approximately 2000 Stockert 3T Heater-Cooler Systems utilized in the United States. The company’s website reveals that the heating and cooling machines are highly efficient because of the three independent water tanks and the compressor base cooling system that eliminate the need for an external water or ice supply during surgical procedures. The machine is designed to adjust temperature settings within one tenth of a decimal point to ensure complete accuracy when maintaining optimal temperature control during the surgery. In October 2016, both the CDC and the FDA issued warnings through a Field Safety Notice Update alerting hospitals and surgeons to emphasize the potential risks when using the Stockert 3T Heater-Cooler Systems and other heating cooling devices. Both federal agencies said that much more had been learned in recent years concerning the potential risks of developing infections during open-heart surgeries. Test performed by the CDC revealed a “genetic similarity between both patient and heater cooler strains of the [non-tuberculosis mycobacteria that were] isolated in Iowa and Pennsylvania. In addition, both agencies were “continuing to analyze” incoming reports and information and that they would be developing “solutions to further mitigate the potential risk of [non-tuberculosis mycobacteria chimaera] contamination. Understand that the contaminated water can come from a variety of sources including contaminated accessories or environmental contamination. 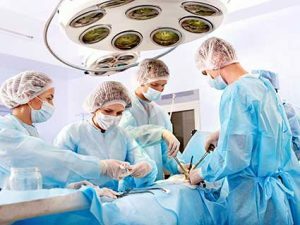 The FDA is insisting that surgeons and operating room medical professionals follow the agency’s recommendations to assist in mitigating the potential risks of patients who could be exposed to the dangerous bacteria. Today, the FDA has not yet recalled any heating-cooling device including the Stockert 3T Heater-Cooler Systems. However, the device manufacturer issued corrective action in July 2015 noting the potential colonization of harmful organisms, like the mycobacteria chimaera if the machine has not been thoroughly clean and completely disinfected. The FDA has posted a comprehensive list of medical device recalls and routinely updated information on their national database. Even though the product has not been recalled, the Food and Drug Administration, CDC, and hospitals are now alerting patients of the dangers of possible contamination when heating cooling devices are used during their cardiothoracic surgical procedure. Non-tuberculosis mycobacteria chimaera is considered a slow-growing infection. While dangerous, these organisms naturally occur in soil and water nearly everywhere and are only dangerous when the bacterium is inhaled or finds its way into the lungs or chest, like during a surgical procedure. Typically, individuals clearing organisms naturally from the lungs can prevent any potential infection. However, those suffering weakened immune systems or have undergone cardiothoracic procedures are at greater risk of developing a life-threatening infection. The Sentence for Disease Control and Prevention revealed that individuals with prosthetic products or artificial valves tend to be at the highest risk. A separate study conducted in Europe involving infected Europeans found a correlation between the development of mycobacteria chimaera infections and the use of heater cooler devices. The researchers had concluded that at least some portion of the cases of infection were likely caused by contaminated water occurring at the manufacturing site. Typically, the patient who has undergone some type of cardiothoracic surgery can be unaware of the potential risks of developing the serious life-threatening infection. This is because the bacterium often remains dormant for months or years without being detected. The Centers for Disease Control has been warning patients exposed to the infection during open-heart surgeries can “develop general and nonspecific symptoms that can often take months to develop.” This means the doctor may delay or misdiagnose the condition because no symptoms present themselves for years. When the bacteria become active, it continues to grow, usually causing significant damage throughout the body before finally being detected. In recent months, scientists have developed blood tests to diagnose the condition. However, a sample taken from the patient must “culture” the tissue or fluid to grown over several weeks or months before an accurate diagnosis can be given. Since 2014, the device manufacturer, LivaNova PLC, has been aware of the serious cases of infection and wrongful death associated with using the device. An article by Consumer Reports indicates that at least four out of 15 patients diagnosed with the rare mycobacteria infection after lung and heart procedures died at the South Carolina Greenville Memorial Hospital. The investigation revealed that contaminated heater cooler devices used during the operation cause the infection. However, the cases are not just isolated to South Carolina. Many incidents have occurred since January 2010 in Pennsylvania, Michigan, Iowa, and other locations worldwide. The Philadelphia Inquirer reported a story in late 2016 indicating 20 patients in Pennsylvania who had undergone open-heart surgery performed with a heater-cooler device have been diagnosed with NTM (non-tuberculosis mycobacteria) chimaera infections. November 2016 – An Iowa woman has filed in open-heart surgery infection injury lawsuit on behalf of her deceased husband against LivaNova PLC, alleging his fatal infection was caused by the company’s defective cardiac heating-cooling device. Lawsuit documents reveal that is surgeons had used the Stockert 3T Heater-Cooler System (aka Sorin 3T Heater-Cooler System) during the surgical procedure where he later developed a rare non-tuberculosis mycobacteria infection. Attorneys working on behalf of the plaintiff filed the open-heart surgery infection wrongful death lawsuit after her husband died from an infection following heart surgery. The attorneys are claiming that the infection was caused by the Stockert 3T Heater-Cooler System and have based their lawsuit on an announcement by the University of Iowa Hospitals and Clinics that claimed that 1500 patients undergoing major liver, lung, or heart surgery were exposed to mycobacteria chimera, a rare potentially deadly bacterium. This case was filed in the U.S. District Court of Southern Iowa. The heater cooler device injury attorneys at the Drug Law Center have won millions in financial compensation to ensure the monetary recovery of our clients who have suffered serious injuries caused by negligence, malpractice, and defective products. Because of our experience and access to available resources, we have successfully resolved many cases involving faulty medical devices and effective pharmaceutical products. If you have suffered serious injury or lost a family member due to a bacterial infection developed after undergoing cardiothoracic surgery, contact us today for a free initial consultation to discuss the merits of your case. Speak with our attorneys about all of your legal options to obtain the financial compensation your family deserves. We are currently accepting product liability cases including those involving defective Stockert 3T Heater-Cooler Systems through contingency fee agreements. This means we postpone accepting payment for our legal services until your case is successfully resolved at trial or through a negotiated out of court settlement. All information you share with our law offices remains confidential.